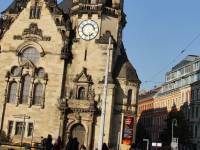 Is it possible to find job in Berlin w/ a english LLM? heyy, can someone help me? I would like to ask you about the acceptance of this masters in english in terms of finding a job with it in Berlin. I replied to your message with some information specific to Brazil ;-) Hope that's useful! Hey MBL-FU.. I am also Brazilian and would like to obtain the same information. Could you forward the same response to me too? Thank you! I am glad that you are interested in our programme and job perspectives is one of the most frequently asked questions. I assume that you have qualified as a lawyer in Brazil? Working in Germany as a foreign-trained lawyer means that you will have to find a job that takes advantage of your unique set of skills. It also means that learning German will sooner or later come in handy. I would suggest focussing on International Business law or other areas of law with a strong international aspect (Intellectual Property Law, Competition Law, Trade Law). As the world biggest exporting nation, Germany has precious contacts all over the world, and Brazil is an immensely growing market with rising importance! Nevertheless, it takes some determination to find the perfect job in Germany as a foreign-trained lawyer. You are not easily admitted to the bar to practice German law. Since Brazil is a WTO member you can apply to practice under your Brazilian title ("advogado") and only relating to international or Brazilian law. There is a fair share of jobs for these specialised lawyers. A second aspect is how employers recognise your degree. Especially large international law firms will know everything about the Brazilian legal system. If you decide to work for an SME in Germany (e.g. an exporting one) it might more difficult. Here a German degree obviously will help, since employers know their home universities and their reputation. I could probably get you in touch with a few graduates of ours. I remember that we had a student from Syria just last year who started working for German-Spanish law firm during the degree and is now working for Deutsche Bank (Germany's biggest bank). Syria being a civil war-torn non-EU state, I believe his starting position was considerably less advantageous than yours! (If you're interested: Here's the link: http://www.fu-berlin.de/en/international/berlin/testimonials/mbl-master/index.html) We also had our fair share of students from Brazil and my colleague is a Brazilian graduate of the programme who now works as a PhD researcher at the university. I could get you in touch with him, if you want me to? Within Europe, the German legal education is known to be an extremely thorough one. Historically, it is a mix of Germanic customs, Roman Law (like the Anglo-American system) and Napoleonic Law (like the French system) and is a leading influence on EU law. While German degrees are highly esteemed, only few foreigners who do not speak English obtain such a degree since most German programmes are still held in German. I have studied in Germany, the UK and the Netherlands and have worked in the Netherlands, Belgium and France and I found out that lawyers trained in Germany are known to be very systematic, thorough in their research and fond of clear statutes and the letter of the law (case law is less important here than in the UK). So I would conclude that a degree from our programme would be seen as an important step towards establishing a professional basis in Europe. I hope I could answer your question? Good luck and success with your applications!